Gordon 'Prince' Kumali was born on the 11th September in Georgetown, Guyana and was an international wrestler having great success wherever he appeared. Standing at 6ft 4 it is claimed that on arrival in the UK Kumali was trained by the legendary Bert Assirati and if this is to be believed it would have been a hard baptism of fire into the wrestling business as it is a well known fact that Assirati took no prisoners whether competing himself or in training other for a career in the professional ranks. Prior to this Kumali had an amateur background and was also trained by Ken Richmond. In the UK Kumali had notable feuds with Tibor Szakacs and Steve Viedor and although these were always entertaining matches between the skilful men it was normally Kumali who unfortunately ended up on the losing side. 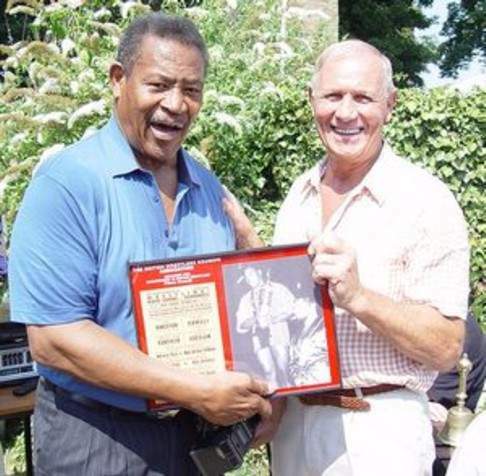 On his arrival at Joint Promotions it was not long before Kumali was given national exposure and on the 6th May 1964 he had his first televised contest from Wolverhampton where he faced Johnny Da Silva., Kumali was to go on to have a number of other televised appearances facing such greats as Joe Cornelius, Kendo Nagasaki, Mike Marino, John Kowalski, Pat Roach, Gwyn Davies and Bruno Elrington all of who were at the peak of their careers. 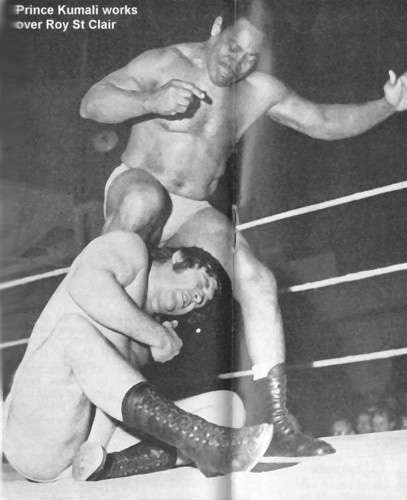 Although well known in the UK Kumali was also a very popular wrestler abroad and at one stage wrestled the great Dara Singh before 120,000 fans in Bombay, India where it is reported that he was successful in defeating the Indian star. It is very difficult to report Kumalis feats around the world as he wrestled under many different names although it is believed that had an impressive win rate against the top stars the world had to offer at the time winning the Middle Eastern Heavyweight title on numerous occasions. 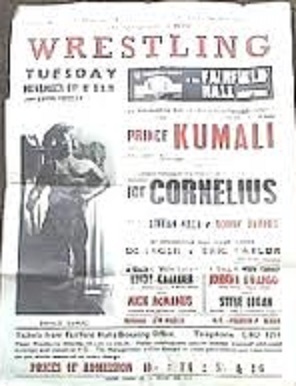 Back in the UK Kumali had a tag partnership with Earl Maynard and had some success although this was not to be the case when he faced the more established tag teams of the time. Prince Kumali was one of those rare wrestlers who could change his style of wrestling depending on his opponent. He could be the hero when facing the likes of Bruno Elrington or Kendo Nagasaki although the following night would hear a chorus of boos from the fans as he made his way to the ring to face the likes of Mike Marino or Steve Viedor. It is without doubt that Prince Kumali was a renowned international wrestling star, a well established grappler who would always give the fans a very entertaining match no matter who his was opposing. On his retirement from the ring Prince Kumali continued to be a regular visitor to the Reunion where he had the opportunity to meet up with his colleagues to talk about old times as well as spending time with his army of fans that he had entertained for many years throughout his career.